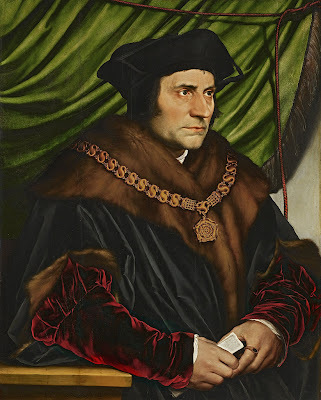 St. Thomas More practiced civil disobedience before it was cool. It is altogether fitting that the ruling in the ObamaCare case comes during the Fortnight for Freedom, which started on the Feast of St. Thomas More and ends on Independence Day. More gave his life for his faith in the ultimate act of civil disobedience. In our own time, Chief Justice Roberts quietly points to a fatal flaw of ObamaCare which may yet render the law unenforceable and impractical through sustained and widespread civil disobedience of a less violent nature. In his discussion of the Congress' taxing power, Roberts was careful to note that the penalty for not purchasing insurance is weak enough that it does not actually amount to compulsion. According to that test, if the tax was severe enough to amount to punishment or was enforceable by criminal penalties, it would run afoul of the Commerce Clause, but in this case the court judges that it does not fail the test. If a subsequent Congress increases the amount of the tax or attaches criminal penalties for failure to pay, ObamaCare could potentially fail that constitutional test and thus become open for re-litigation. In particular, Roberts notes twice in his opinion that 26 U. S. C. §5000A(g)--which concerns the penalty for not complying with the individual mandate--specifically states that the IRS may not enforce the penalty through criminal prosecution, additional penalties, or any lien or levy on personal property. In the event that the law is not repealed before 2014, the last resort is to simply disobey the law and refuse to pay the penalty. The Prolix Patriot is not a lawyer, but it seems plain enough that a law which cannot be enforced does not have any power. Thus, in a ruling which superficially appears to uphold the most onerous provisions of ObamaCare, Chief Justice Roberts actually reduces the individual mandate “tax” to a nullity while at the same time drawing a bright line limiting the power of Congress under the commerce clause and the spending power as applied to the several states. Rather than viewing this as a defeat, opponents of ObamaCare should celebrate that Roberts’ ruling has opened many new avenues for subsequent legislation and litigation to eliminate ObamaCare’s abuses and also to restrain Congress’ seemingly limitless ambitions. Moreover, as Roberts noted in his opinion, "It is not [the court’s] job to protect the people from the consequences of their political choices." Instead of blaming Roberts for some imagined betrayal, opponents of ObamaCare should place the full blame for the law’s many shortcomings squarely at the feet of the laws namesake--President Obama himself. As presidential contender Mitt Romney said today, "If we want to get rid of Obamacare, we're going to have to replace President Obama." 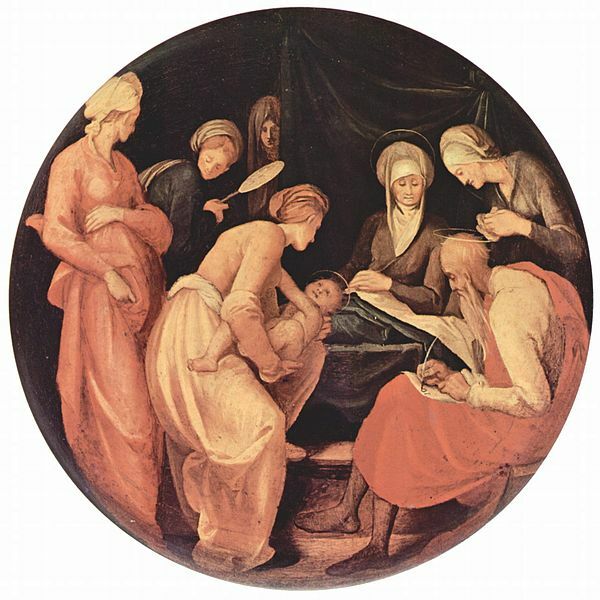 This Sunday is the Feast of the Nativity of St. John the Baptist. The feast has been celebrated for millenia across the world as Midsummer--the same midsummer in Shakespeare's famous play--with festivities similar to Halloween in many ways, but emphasizing life instead of death. The media-created myth of the solstice as the first day of summer is a very recent innovation of our modern and decadent age. Who can ignore or obscure the signs of summer all around us: the roses and tigerlillies have bloomed, lightning and lightning bugs fill the nights, the tender buds and shoots have changed to dark and thick green foliage, the wind now comes from the sea instead of the land, the winter wheat in farmers' fields is ready (or almost ready) for harvest, and of course, the pools have opened. Do we really need the calendar or the television to tell us that summer arrived weeks and months ago?! Summer was already here long before the charlatans decreed that nature and the seasons must wait for the false precision and pseudoscience of the astronomical solstice. The profusion of life in nature waits for no man, and least of all the sham intellectuals and urbanites who are completely detached from nature, religion, history, and it seems, reality itself.